The Myers Briggs Type Indicator (MBTI) is a powerful tool that enables us to understand how we see the world and what our inherent personality preferences are. The Myers-Briggs Type Indicator (MBTI) was developed by Isabel Briggs Myers and her mother, Katharine Cook Briggs. Their aim was to create a tool to indicate, validate, and put to practical use C.G. Jung's work on psychological types. Jung was a Swiss psychiatrist whose book ‘Psychological Types’ was written following his work understanding individual differences among people. Briggs Myers first encountered Jung's ideas in 1943 and began two decades of "type watching." Prompted by the waste of human potential in WWII, she began developing the Indicator to give everyone a better understanding of psychological types and in appreciating differences. MBTI results identify valuable differences between people and help individuals to identify their own behaviour preferences. This understanding of individual’s motivations, natural strengths and potential areas for growth. It can also help individuals appreciate people who differ from them. 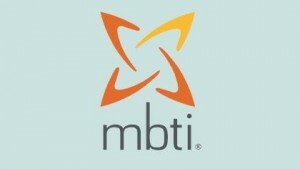 For more info on how MBTI can help you and your team please contact us below.